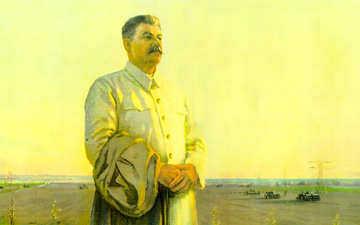 A realm where no kulak goes un-liquidated, no five-year-plan goes un-overfulfilled, and no Great Leader and Teacher goes un-venerated. Link to Hugo S. Cunningham home page. Link to A.D.G. home page. E-mail addresses of these sites.